Widespread tooth loss can be painful and embarrassing. Dentures are a trusted solution for tooth loss that can replace missing teeth and restore your ability to eat, speak, and smile with confidence. Dr. Joe Bousaba and his team offer both traditional and implant-supported dentures at his Richmond, VA, practice to help you complete your smile. Our dentures are customized using the highest quality materials for a comfortable fit and natural-looking, long-lasting results. Dentures are a trusted solution for tooth loss that can replace missing teeth, restoring your ability to eat, speak, and smile with confidence. Dentures are dental restorations designed to replace multiple consecutive missing teeth. If you have lost most or all of your in teeth in one or both dental arches, dentures can restore your smile. Traditional dentures are composed of a plastic base that is carefully selected to match your gums. The teeth used in your denture will be crafted from state-of-the-art porcelain for the most realistic results. Traditional dentures may be secured using small metal clasps, a special dental adhesive, or natural suction. Dr. Bousaba uses advanced technology to design your dentures for the best possible fit. 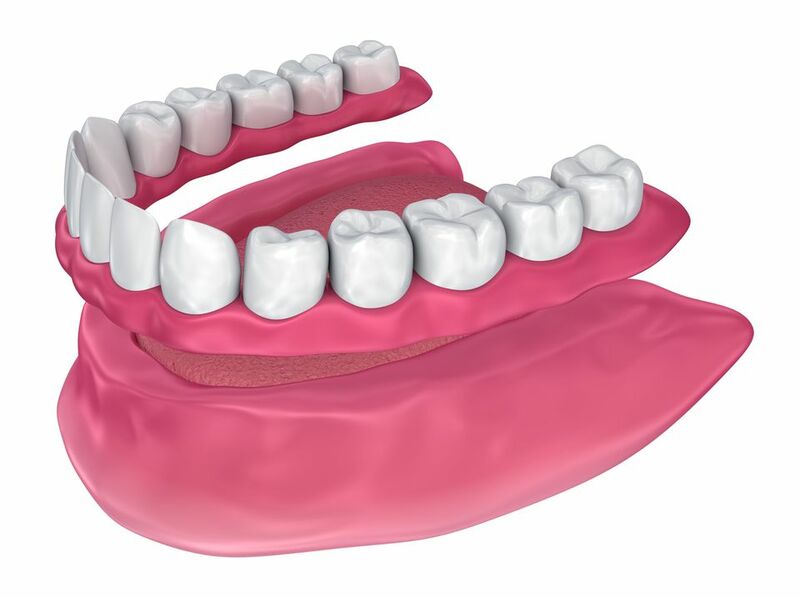 We offer both partial and full removable dentures. Partial dentures can be used instead of a bridge to replace several missing teeth in a row while full dentures replace an entire dental arch. 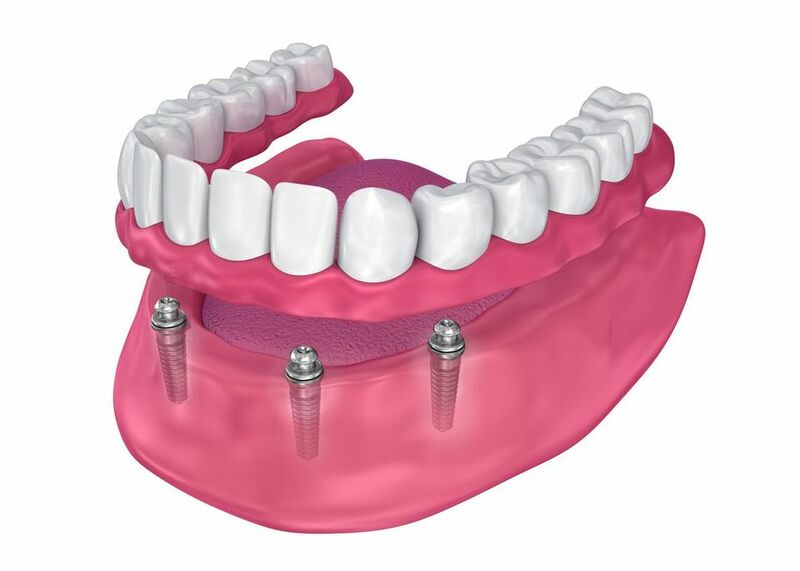 For patients who desire improved stability, an implant-supported denture is recommended. An implant-supported denture relies on carefully placed dental implants to hold your restoration in place. In addition to providing a more secure foundation, implant-supported dentures protect against jawbone atrophy, which is essential to prevent further tooth loss. As such, implant treatment is highly recommended. If Dr. Bousaba has determined that dentures are the best solution for you, any remaining teeth must first be extracted. He can then take impressions of your bite. Your impressions will then be sent to the lab where your denture will be hand-crafted according to these specifications. Once your restoration has been returned from the lab, you will return to our office for placement. At this time, Dr. Bousaba will make any necessary adjustments to ensure the most secure and comfortable fit. Additionally, many patients experience an improvement in their overall quality of life after receiving their dentures. Do not allow tooth loss to prevent you from living your life fully. Contact us online or call us today at (804) 282-2990 to schedule your consultation. We can recommend the best type of denture to complete your smile and restore your self-confidence.